I'm so happy that my friends over at No Name, New York brought this Collectors Weekly article about the history of the party dress to my attention. Does anyone else find this statement to be so true: "Now that the jeans-and-T-shirts plague has reached our fancy restaurants, cocktail parties, and nightclubs it seems as though nobody cares about dressing up anymore." One thing I haven't yet mastered about hosting is how to tactfully communicate a preferred dress code for events. When I invited my closest friends to last year's Friendsgiving, they knew they should "dress up," but only because they know me. 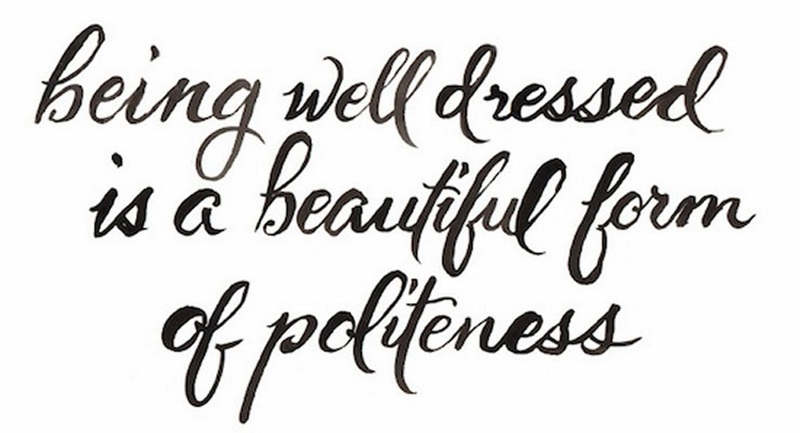 I think it's nice when people look nice - attire is a big part of the atmosphere of a party. If I'm going to put weeks of planning and preparation into a dinner and break out the hand-wash-only crystal, I would like it to feel like a special event. Which doesn't generally involve t-shirts that could double as gym clothes, as much as I do want my guests to feel comfortable. (Maybe a rule of thumb should be: If it's comfortable enough to sleep in, don't wear it to a dinner party?) Again, since the guests were my closest friends, I didn't have to tell them this because they know me so well. And if anyone did protest, I would be able to jokingly call them lazy and tell them to pull it together. But what about occasions where you don't have that level of relationship with the invitee? I was shocked when, a few weeks before my wedding, I received some phone calls explaining that a few guests were unsure of what to wear. And I actually had to explain that, no, khakis and a blazer with no tie would not "work." (Why do men seem to want to dress as though they're a on a high school basketball team heading to an away game?) And no, "just a pretty sundress" wouldn't work for women. (In November?!) Seriously - why the aversion to putting a little effort in these days? 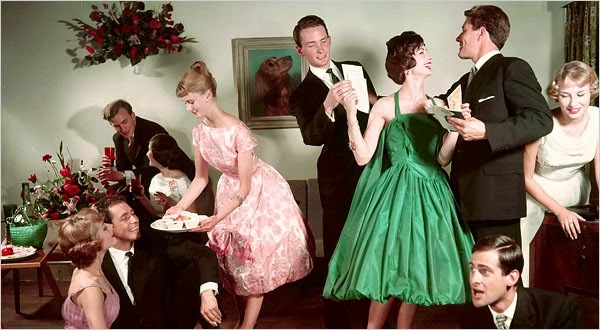 I love the author's take: "And yet, as fashions become increasingly casual, the perfect party dress is like a secret weapon—turning anyone into a rose among daisies." Clearly I could use some advice - do any hostesses out there have tips on how to subtly request that guests put as much effort into dressing themselves as you put into creating a nice evening? Is it even possible to do so for a non-wedding event without coming across as a complete control freak? Comment here, email monica@abarcartinbrooklyn.com, or tweet @monicastolbach. I'll publish your suggestions in an upcoming post.